In a steamy Vodafone Arena, Team Asia showed for a second year running that they rule the cadets category. 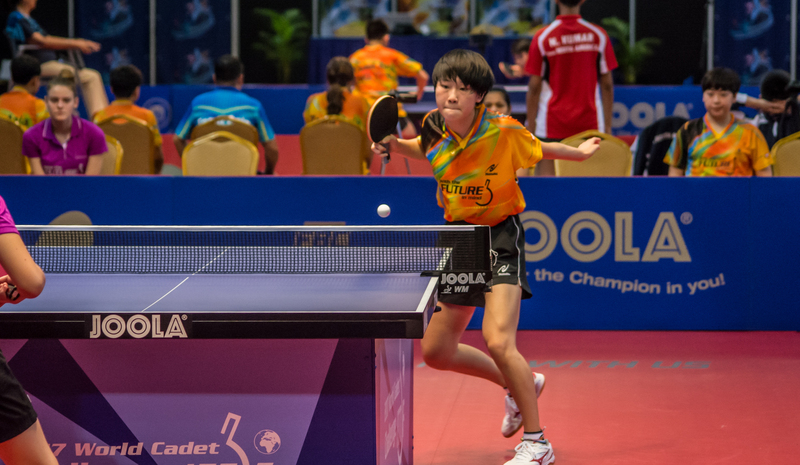 In the Girls’ Team Event, Team Asia was able to see off a tenacious North America 3-0. Despite not playing in the final, and instead cheering from the bench, it is worth seeing the gold medal win through the eyes of Diya Parag Chitale. Chitale played two years ago in Team Hopes, and now in Fiji she is a gold medal winner. She’s graduated from the Hopes program with honours and is now top of her class in cadets. The World Cadet Challenge prides itself on not just being about chasing titles and glory. Player education is also a top priority. On her way to the top of the podium Chitale has picked up some knowledge. I’ve learnt so much playing with the team. There are heaps of technical ideas I will be able to use. Chitale wasn’t only front and centre for the gold medal, she also had a VIP seat in seeing exactly how her Chinese team mate Huang Yingqi took care of business. Sometimes the perception of table tennis in China is that there is some special formula they are hiding from the rest of the world. Well, Chitale got a close up encounter of just what goes on behind the scenes. Turns out it really just is what you put in on the table.